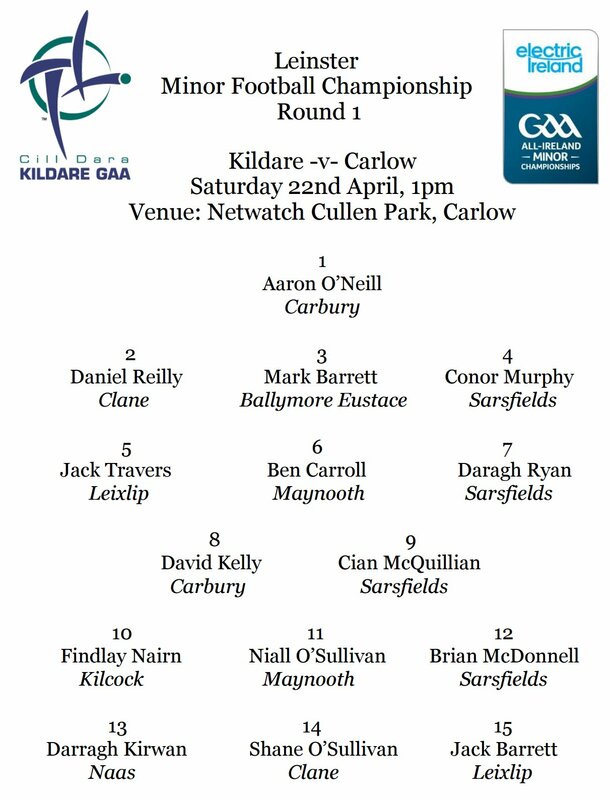 Talented Kilcock midfielder Findlay Nairn has been named at wing forward for the Kildare minor footballers’ Leinster Football Championship round one clash with Carlow. Nairn and his team mates must travel to Netwatch Cullen Park, Carlow this Saturday where they will look to clear the first hurdle with victory over their dangerous hosts from 1pm. Kilcock have been well represented at this level in recent years by Daniel Courtney and Jason Gibbons, both of whom won Leinster titles before falling at the All Ireland semi final stage and Nairn will be hoping to replicate their achievements. Findlay is joined on the panel by club mate Lee Loughnane but unfortunately for Lee he is currently out with a hand injury.